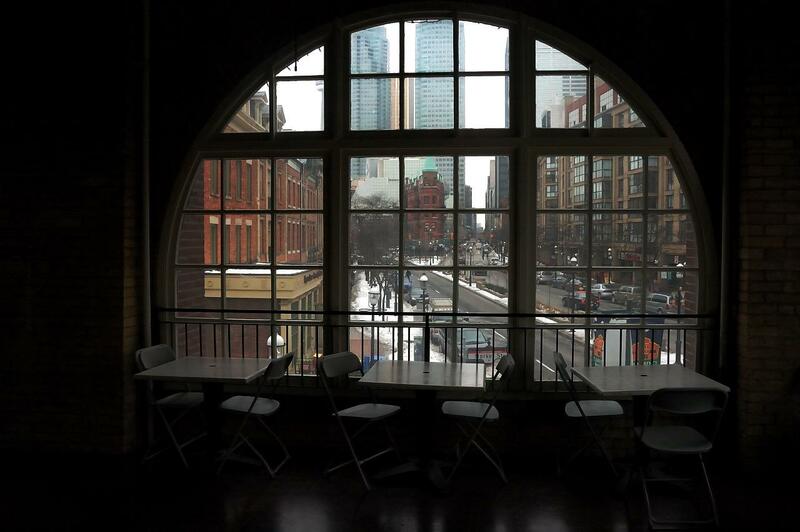 This is the view from an upstairs room in the St. Lawrence Market building in Toronto. I was hoping to visit the small art gallery in the building, but it was shut. Instead I poked around a bit and found this view on Wellington Street.